Product categories of SMT Special Splice Tape, we are specialized manufacturers from China, SMT Special Splice Tape, Yellow SMT Special Splice Tape suppliers/factory, wholesale high-quality products of SMT Special Black Splice Tape R & D and manufacturing, we have the perfect after-sales service and technical support. Look forward to your cooperation! SMT Special Splice Tape, black anti-static splice tape with diagonal triangle design, pass the feeder easily. 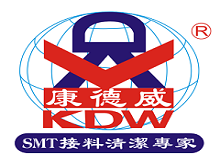 5.The SMT Machine can increase output by 10%-25%.